Sheffield, United Kingdom – SoloProtect, the international lone worker company, launched its customer engagement platform in December 2017. “SoloProtect Insights” will revolutionize how customers implement, manage and analyze lone workers, devices and applications. The platform is a key part of SoloProtect’s product roadmap, and will continue to evolve and underpin all SoloProtect lone worker products throughout 2018 and beyond. SoloProtect Insights is a fully responsive, online portal. It provides exclusive, relevant information and real-time metrics to assist planning, implementation, and ongoing solution management. Designed for ease of use, Insights utilizes a sleek and intuitive user interface, and affords a manager or administrator greater control, flexibility and speed of change-implementation. It’s also a platform for end-users to access online training and customer support. SoloProtect Insights will be available to all SoloProtect customers at no additional cost – supplied as a core supporting function of the solution. Designed to deliver content-rich information quickly and with security in mind, all requests within the platform will use HTTPS using SSL for secure data transfer in line with industry standard. devices, tablets, laptops and personal computers. Quick and easy ways to store important user contact information, working patterns or important medical details that may inform how a “Red Alert” is best handled. Changes and updates will be live within SoloProtect’s Monitoring Center within minutes. Insights launched for SoloProtect customers in the US and UK in December 2017, but will also be made available to customers in the EU in 2018. SoloProtect makes working alone safer by providing the globally leading lone worker safety solution. Operating in over eight countries, including the U.S., U.K. and Germany the SoloProtect solution utilises highly specialised personal safety devices that instantly connect with our Alarm Receiving Centre (ARC) at the touch of a button. Operating using mobile phone (GSM) technology, SoloProtect captures Geolocation location and enables users to discreetly open a voice channel to our specialised ARC when encountering a risk. SoloProtect solutions are also Incapacitation capable, detecting tilt, impact, non-movement or uncommon, such as fast movement, to raising an automatic alert. For more information visit: www.soloprotect.com. 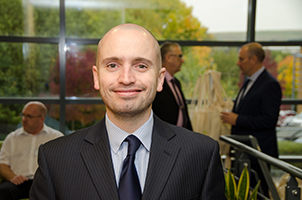 Rob is a marketing professional with over 15 years’ experience, 9 of which have been within the Lone Worker industry working for SoloProtect. During this period Rob has seen the sector develop hugely, both in terms of education, recognition and reporting around the importance of protecting staff, but also the scope of technology available for use by an employer.